At first, the Japanese born beauty probably didn't know that someday she would meet her prince charming and live like in a Cinderella story. Yet later, the third wife of Indonesian First President didn't have a smooth fairy tale after all. Born as Naoko Nemoto, poverty and World War II scenes fed young Ratna Sari Dewi's childhood memories. For her dreams and the limited capability she got, she had to defeat her fate by working after school in very early age and trying harder than anyone else. Until she found her love of art, she took a job as singer in entertainment district in big cities in Tokyo. One night in Copacabana changed her life forever. 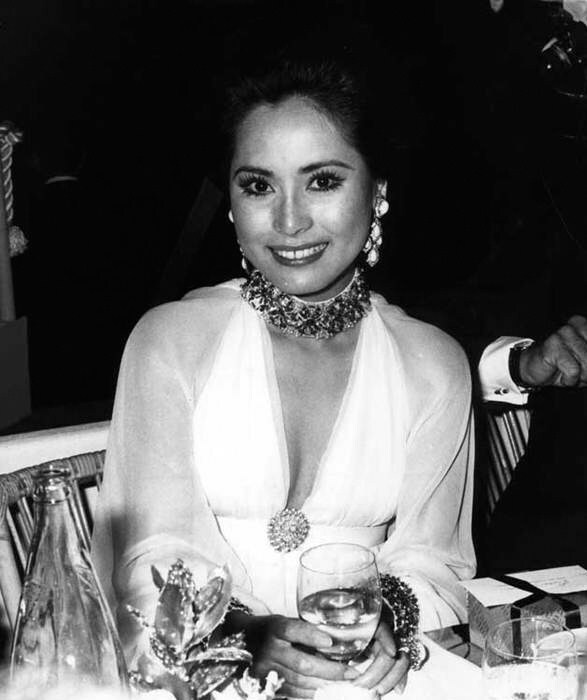 Her beauty and singing talent caught Indonesia's First President, Soekarno. Not long after that, they developed secret relationship and continued a long-distance love across Indonesia and Japan. Unfortunately, the love story couldn't remain silent. Soekarno finally decided to marry Naoko Nemoto and gave her Indonesian name, Ratna Sari Dewi, after she converted her religion into Islam. After the marriage, Dewi's life turned into another misery episode that she had to face rejection from new local society and especially Soekarno's previous wives for she was considered foreigner and her former country was the current imperialist to Indonesia. 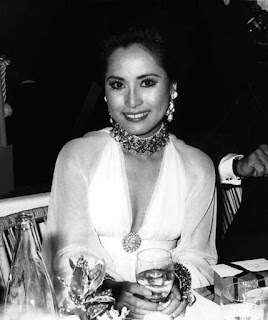 The jealousy was undoubtedly risen as she became Soekarno's Madame Pompadour. Her life with Soekarno got even worse since the coup d'etat by General Soeharto came to pass---a historical moment that had killed many people of the Communist party. As a result, Dewi had to escape to Paris for her safety as she was also pregnant. Dewi and Soekarno had to deal with another long-distance marriage during the unstable political condition in Indonesia. 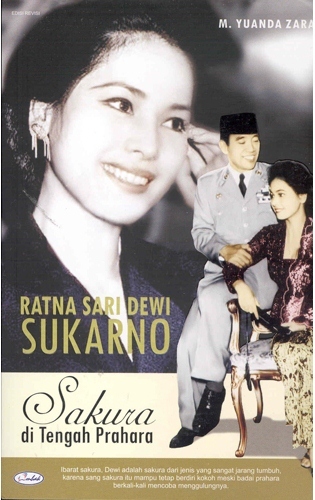 Another biography of Dewi Soekarno by Yuanda Zara is the completion of latest updates of Dewi Soekarno's life. As the author himself believes that history needs updates to be made, so it is obvious the complete update and entire life history of Dewi is worth to read. Zara has written a complete research of the third wife of President Soekarno and has created a nonjudgmental biography work. From the whole research, the reader might find the intriguing and determined Dewi Soekarno who is brought up from nothing to something. Her sacrifice and love as a wife, a mother....and a public figure for the people of Indonesia. Her indulging admiration both ways between her and Soekarno seen in their love letters. Unluckily, the perfection of a woman Dewi got in herself has to be paid through several controversies involving her relation with Japanese businessman in Indonesia and her 'distinguished' attitude that collides with the culture surrounds her.You might love or hate her, or both. Some missing link is also found here unfortunately. It's understandably questionable about her motive on writing a brave letter to Soeharto regarding Soekarno's death, yet showing a good relationship built between her and Soeharto's family and relative, continued by several disputes. The absence of author's direct interview with the object is one of the reasons. There are also some incoherent dates caused by different old sources and hard to re-check. Another missing point is to tell about how Dewi felt when a year after Soekarno married her, he married another younger wife. Overall, the plot is nice to read. A deep researched biography novel that makes you feel endless thousand sources packed in one book---complete and simplified. I hadn't heard of this book before reading the review here. It sounds like an interesting book with a lot of details. I will keep my eye out for this one. Thanks for sharing! Sounds like a fascinating read. I cannot speak Indonesian, so I won't be able to read the book, but I enjoyed reading your review.